Do we have the power to make ourselves feel better? Seven dancers explore the placebo effect to a euphoric electro soundtrack in Clod Ensemble’s new work, which features costumes designed by fashion label Art School. The Royal Ballet brings to life Natalia Makarova’s production of the iconic 19th-century Russian ballet, which follows the ill-fated romance between a temple dancer, Nikiya, and the warrior Solor. 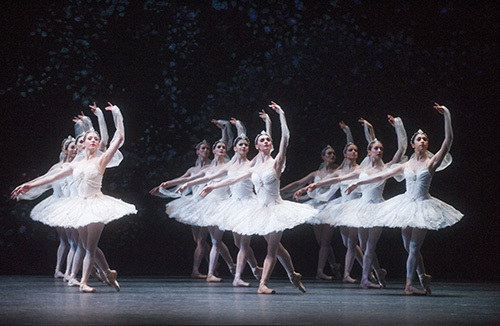 A series of arabesques across the moonlit stage in Act 3 is one of the ballet’s highlights – showcasing the strength of the corps de ballet and Marius Petipa’s choreography. This new promenade piece by Shobana Jeyasingh commemorates the devastating 1918 Spanish Flu pandemic. Jeyasingh’s choreography echoes the scientific features of a virus – rapid, random and constantly shape-shifting – as eight female dancers contort, strategise and mutate as they explore the resilience and vulnerability of the human body. Stroke survivors take to the stage in a poignant movement and song production choreographed by Ben Duke. The show, first performed at The Place in May, will be accompanied by panel discussions with dancers, musicians, neurologists and neuroscientists to explore the impact of storytelling through song and dance on the brain’s ability to heal itself. One for all the family, this imaginative new ballet from Ballet Cymru is narrated by Cerys Matthews and based on the Dylan Thomas classic, A Child’s Christmas In Wales. Rosie Kay Dance Company explore the rise of Illuminati conspiracies hidden in pop culture in this intriguing new dance piece created in collaboration with documentary filmmaker Adam Curtis. Costumes from Lady Gaga designer Gary Card add to this visually arresting work. Performance artist Scottee uses contemporary dance as a form of ‘fat rebellion’ in his new show, made in collaboration with choreographer Lea Anderson. 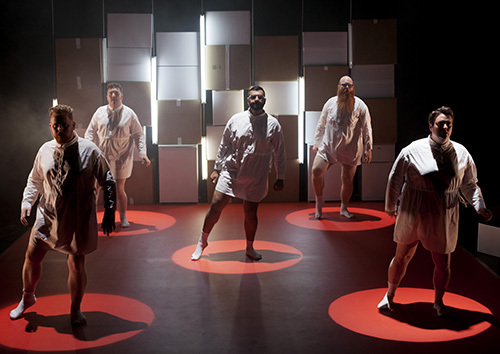 Fat Blokes stars an all-male cast – all of whom are new to dance – exploring flab, double chins and getting your kit off in public. 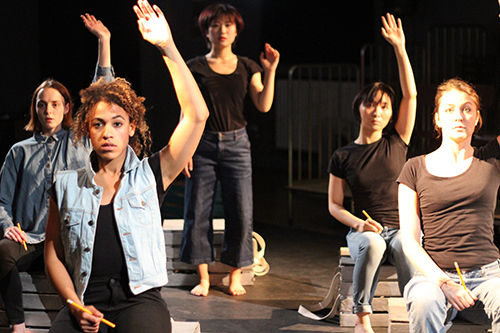 This topical physical theatre work from Ekata Theatre challenges the toxicity of nationalism through the story of one woman, encountered at different stages of her life, who never feels real connections to the people around her. 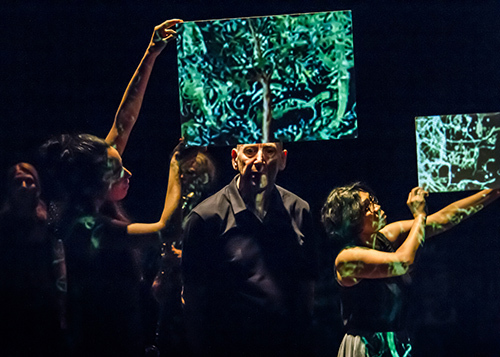 Performed in the round by a multilingual ensemble, Unbelonger is directed by Finnish choreographer and director Erika Eva and uses object puppetry, choreography and a live score by Xavier Velastín. American choreographer Mark Morris returns to Sadler’s Wells after a five year hiatus with a colourful and moving reimagining of the Ancient Persian tale Layla and Majnun. 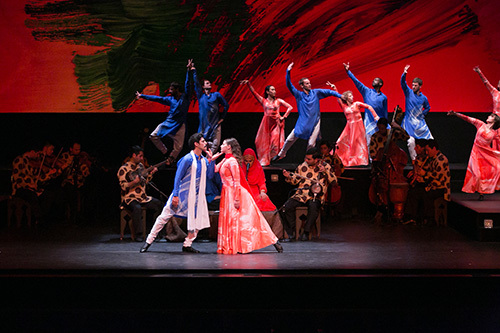 16 dancers interpret the narrative of the star-crossed lovers, to improvised music sung in the style of mugham and a live score from the Silkroad Ensemble. 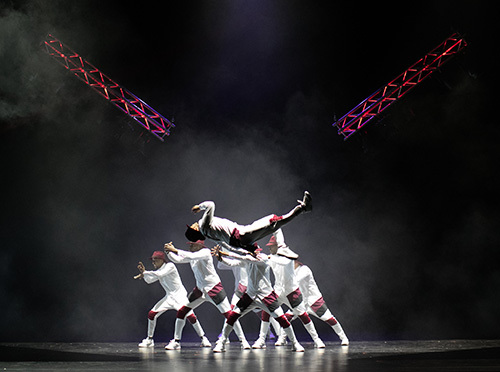 Team work makes the dream work in the latest high-energy, acrobat-fused offering from popular dance troupe Flawless, the World Dance Champions who found mainstream success following their appearance on Britain’s Got Talent. This triple bill from The Royal Ballet brings together the classical and the contemporary. The programme opens with a WWI-themed world premiere by Alastair Marriott, performed alongside Wayne McGregor’s abstract ballet Infra and George Balanchine’s 20th-century classic Symphony in C (pictured). Curated by Akram Khan, the dance line-up for Darbar Festival features some of the most exciting names in classical Indian dance. Partners on and off stage, Renjith Babu and Vijna Vasudevan (pictured) present An Evening of Bharatanatyam in a new work choreographed by Mavin Khoo, while Adventures in Odissi and Kathak combines two classical Indian dance forms in solo performances by Sujata Mohapatra and Gauri Diwakar. A striking three-and-a-half-tonnes of clay are ritualistically molded, heaped and shaped by 18 dancers in this UK premiere choreographed by Sidi Larbi Cherkaoui and performed by Swedish contemporary dance company GöteborgsOperans Danskompani. Design is by Cherkaoui’s regular collaborator, Antony Gormley.